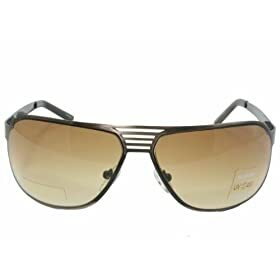 I love these Urban Fashion Modified Grill Aviator Sunglasses from GogglesandGlasses.com. Check out the video below for my review. They’ve got really sturdy metal frames and gradient lenses. But the grill in the middle is what really separates these stunna shades from some of the other aviators out there. I know I said these grill aviator sunglasses costs $9.99 in the video, but you can actually pick up a pair from Amazon.com for $5.99. You’re not going to find a better deal on these anywhere so go grab a pair now!